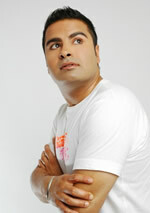 Gurpareet Bains, author of the No. 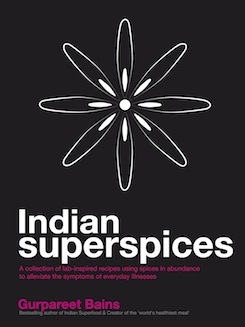 1 best-selling Indian Superfood, presents Indian Superspices: lab-inspired recipes to help with everyday ailments such as colds, PMT, hangovers and even insomnia. His unique approach uses spices in medicinal quantities to alleviate stress, anxiety, allergies and a range of other ailments. It will also help manage weight loss and aid with detox. On his journey, Gurpareet reveals the amazing secrets of a spice that has been scientifically proven by the US Food and Drug Administration in the treatment of asthma, diabetes, psoriasis and viral infections, as well as the inhibition of cancer cell growth and improvement of the immune system. Gurpareet proves that Indian cuisine is robust enough to absorb medicinal quantities of spices and still deliver delicious meals. This paperback book is a collection of over 60 recipes augmented with compelling medical research and photography. Indian Superspices is a radical shakeup of the Indian kitchen: a fascinating voyage into virgin gastronomic territory. The Insomnia-No-More Curry from Indian Superspices became an international phenomenon in 2012 and was formally recognised as a British icon by the Experimental Food Society in November 2012. Indian Superspices was also recognised by the Huffington Post as one of the top.50 cookbooks of 2012.